Immaculate Conception according to the teaching of the Catholic Church was the conception of the Blessed Virgin Mary in the womb of her mother, Saint Anne, free from original sin by virtue of the foreseen merits of her son Jesus Christ. The Church teaches that Mary was conceived by normal biological means, but God acted upon her soul (keeping her "immaculate") at the time of her conception. "in the first instance of her conception, by a singular privilege and grace granted by God, in view of the merits of Jesus Christ, the Saviour of the human race, was preserved exempt from all stain of original sin." 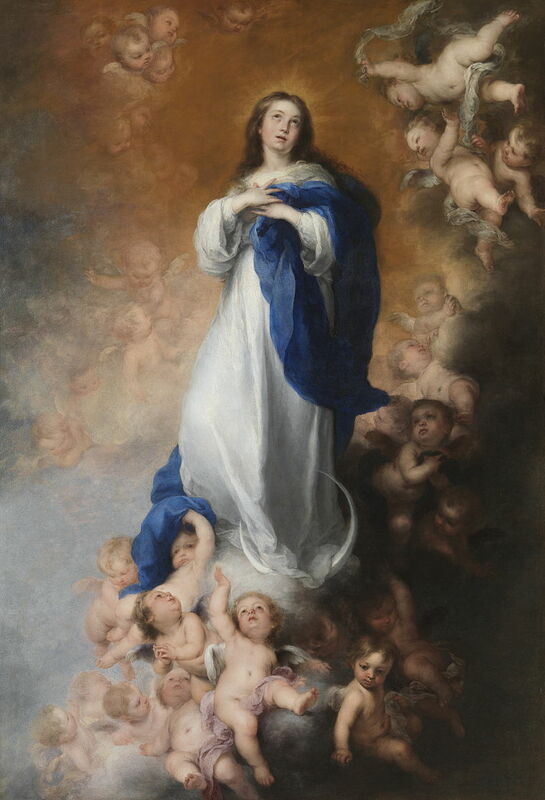 The Feast of the Immaculate Conception celebrates the solemn belief in the Immaculate Conception of the Blessed Virgin Mary. It is universally celebrated on December 8, nine months before the feast of the Nativity of Mary, which is celebrated on September 8. It is one of the most important Marian feasts in the liturgical calendar of the Roman Catholic Church, celebrated worldwide.